Click on any image on this page to display it in larger size, then use the back (arrow) button to return to this screen. The back button is usually found in the top left of the screen for PC’s and laptops, but my be in other positions on other devices. 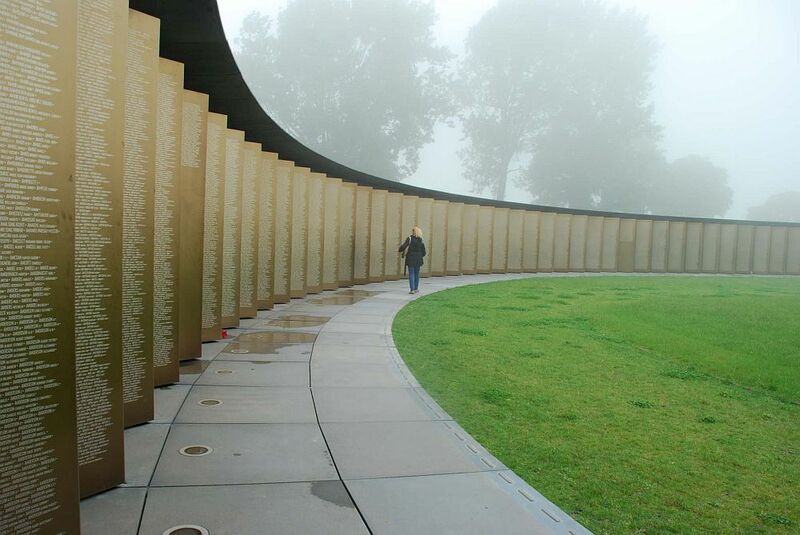 Ring of Remembrance Monument for Peace, in Lorette, Ablain-Saint-Nazaire near Arras. To celebrate the lives of these men and recognise their sacrifice, a plaque to commemorate them will be made for the Masonic Hall to be unveiled at the Heritage Open Day on 9 September 2017. 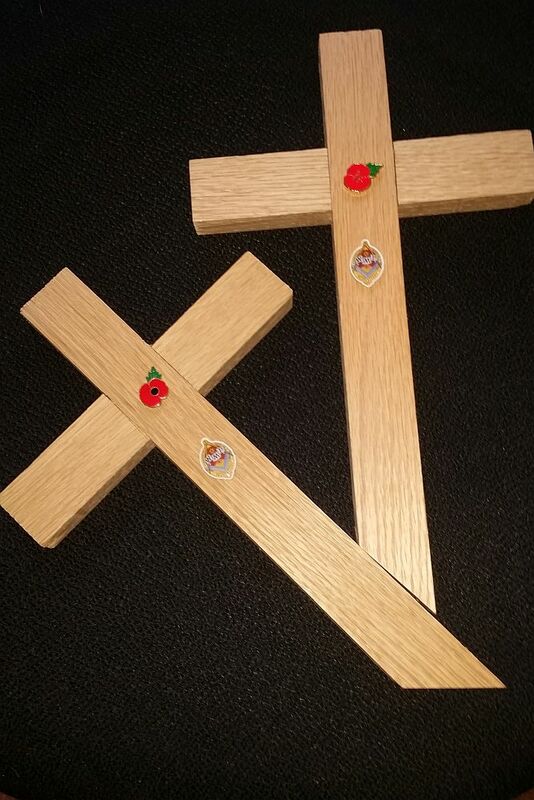 Also, the Curator of the Museum, Vic Charlesworth, kindly handmade two beautiful crosses to be placed on their graves by Rob and Caroline Crook during their trip to France. The two crosses made by Vic Charlesworth, museum curator. Lance Corporal William Haddock Robinson (1879-1918). William H Robinson is recorded in the 1881 census as being born in 1879. He was the son of William Haddock Robinson and Elizabeth Johnson Robinson (nee Bolton) of 18 Bridge Street Warrington and was one of seven children. 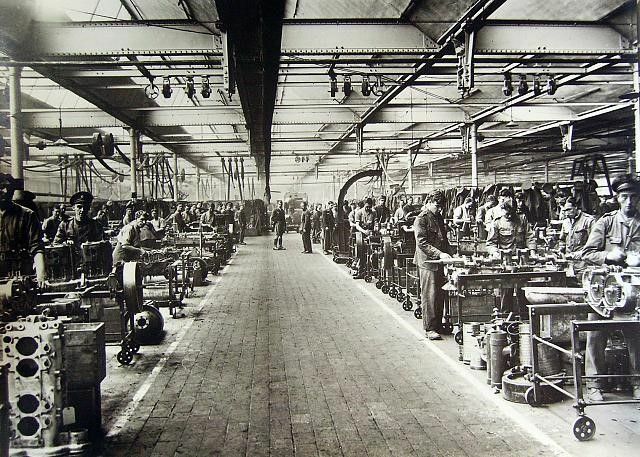 His father was cashier at Joseph Crosfield and Sons, Soap Manufacturer and his mother was a tobacconist. The family moved to Wilson Patten Street, Warrington and they are recorded as living there on both the 1891 and 1901 census. His father died 15 April 1903 and his mother 22 February 1911. On the 1911 census, he is recorded as living with his brother and sister at The Mount in Lower Walton. 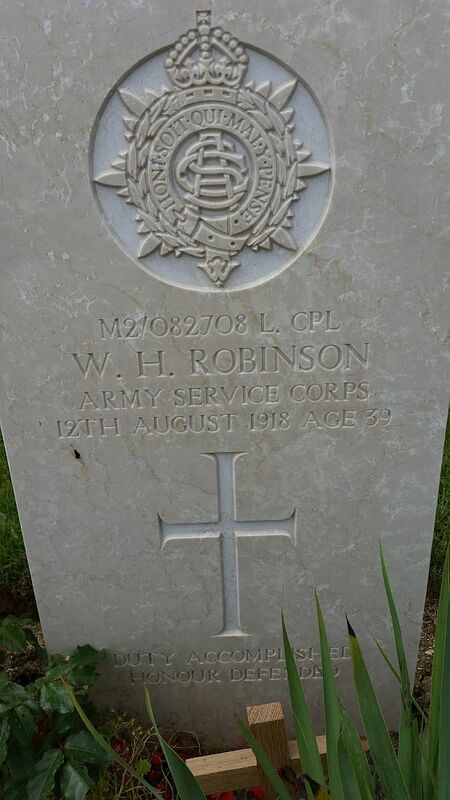 “The WM made a feeling reference to the much-lamented death of Bro W H Robinson, who was killed whilst on active service and a very suitable tribute was paid to our late brother by PM H V Pigot who stated whilst lamenting his untimely death, we must all be filled with admiration for his patriotism in having so readily volunteered his services and in having made the great sacrifice in the cause of King and Country”. WW1 Army Service Corps (ASC) Uniform. St Omer Heavy Repair Shop. Considering the importance of such Military bases, it comes as no surprise that they were often targeted and bombed by German aircraft. 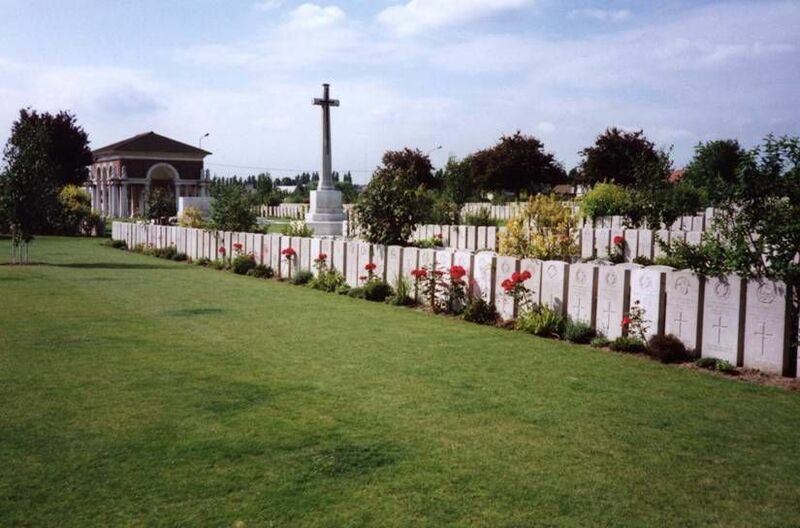 It was during such a bombing raid that William was seriously injured along with several of his comrades and they were taken to the 30th General Hospital, where William and eleven others died of their wounds on the 12 August 1918. 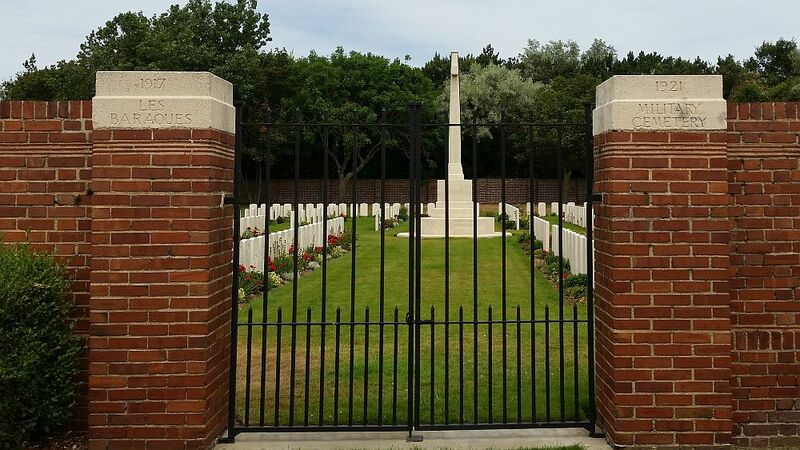 It is difficult to say the exact spot where William was killed, as records are not available, but by researching other soldiers who died on the same day and who are buried alongside William, it is most likely that he was at the Calais or St. Omer bases during the air raid. He had also captained the Warrington Cycling Club and that he left a widow and one child; sadly, we have not been able to trace a marriage or a birth, the administrators named both in his Army Register of Soldiers Effects, and in the probate records1 are Leslie Dewing and William Rogers bank clerks their relationship to William is unknown. 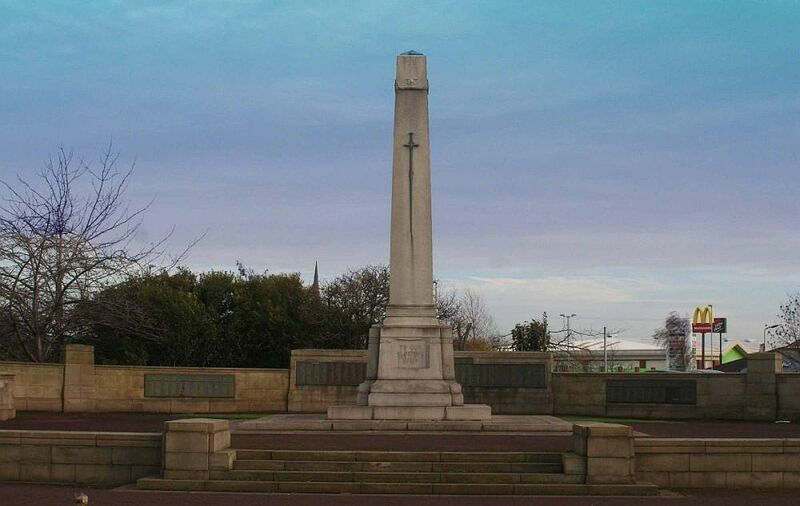 His name is inscribed on the Cenotaph at Bridge Foot in Warrington 8,9,10 and moreover his name and date of death are also recorded on his parent’s gravestone in Warrington cemetery. Rob Crook Placing the Cross on the Grave of William Haddock Robinson. The Grave of William Haddock Robinson. His obituary in the Warrington Guardian7 of 17 and 20 April 1918 tell us that he was a Director of Messrs. Carter and Son Bakers and Corn dealers of 20-24, Bridge Street, Warrington. He was educated at Aston Hall and Harrogate College. He was also involved in public service, as a member of Frodsham Parish Council, acted as Commander of the Frodsham detachment of the Cheshire Volunteer Regiment; he also served on the Board of Management of Frodsham Auxiliary Military Hospital and was a magistrate in the Eddisbury division of Cheshire. 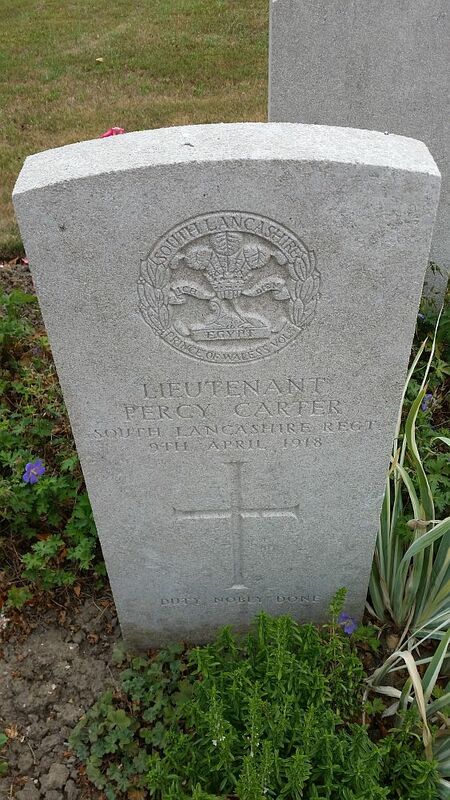 “The Worshipful Master proposed a vote of condolence and sympathy with the widow and family of the late Bro Lieutenant Percy Carter, who was killed whilst serving his country at the front, which was assented to by the brethren standing in silence”. 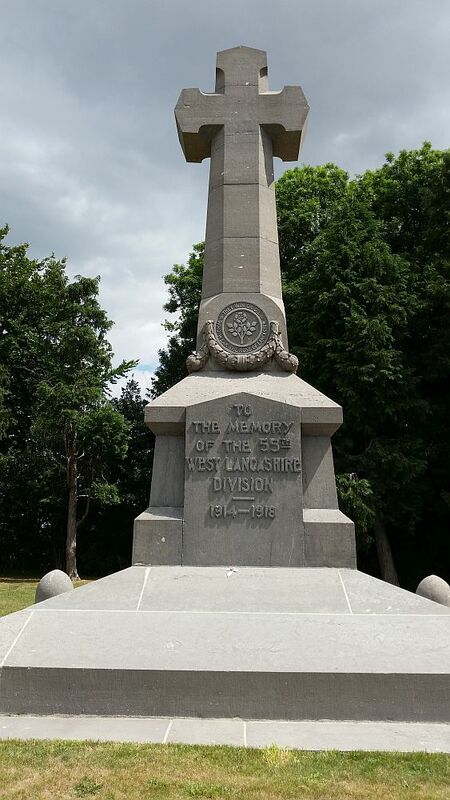 In Givenchy, there is a memorial dedicated to the 55th West Lancashire Division. 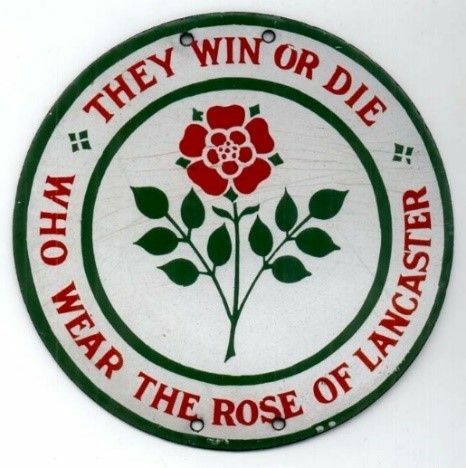 The Centrepiece on the Memorial. Lieutenant Percy Carter Grave, Bethune. 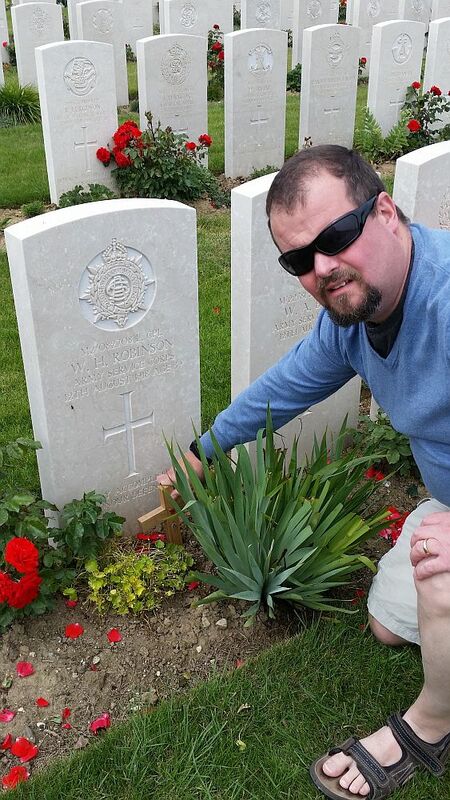 Rob Placing the Cross on the Grave of Lieutenant Percy Carter, Bethune. 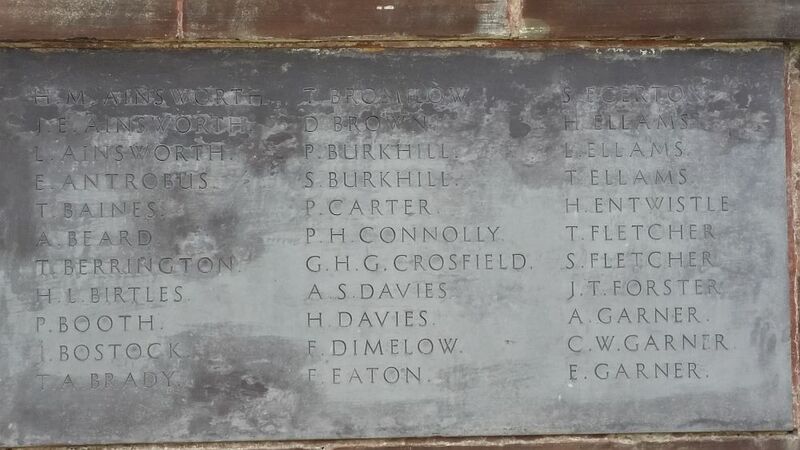 Inscription on the Frodsham War Memorial. 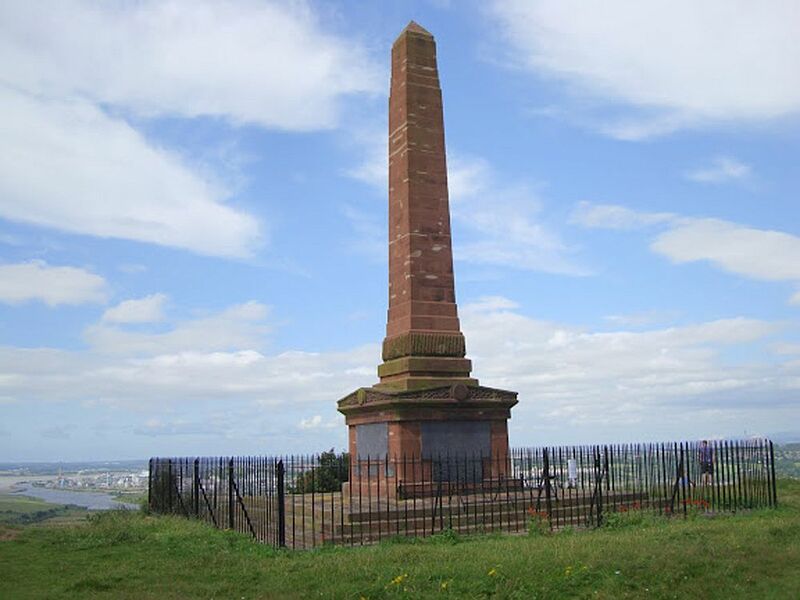 Percy Carter is also remembered on the Frodsham War memorial,9,10 which is on the summit of Overton Hill, Warrington, a stunning position, with views across the Mersey estuary to Liverpool, both the Anglican and Roman Catholic Cathedrals can be seen on the horizon, looking to the East the Pennines are silhouetted against the sky, to the West the Mountains of Snowdonia, to the South the beautiful central sandstone ridge disappears on its route through Cheshire to Whitchurch. 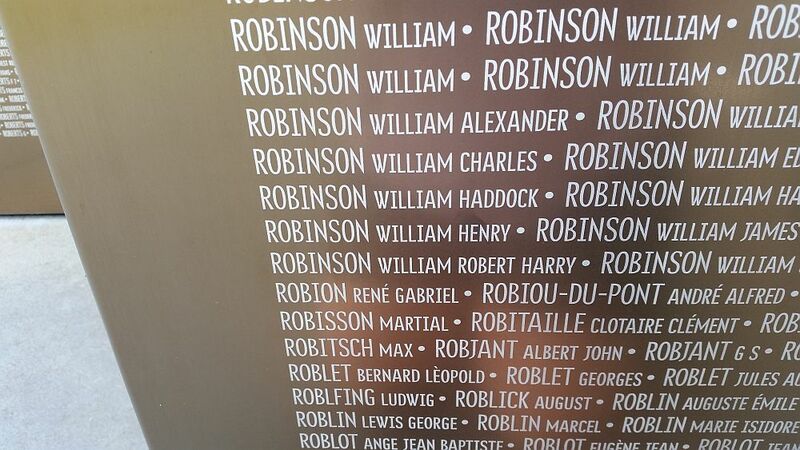 William Haddock Robinson’s Name on the Monument. 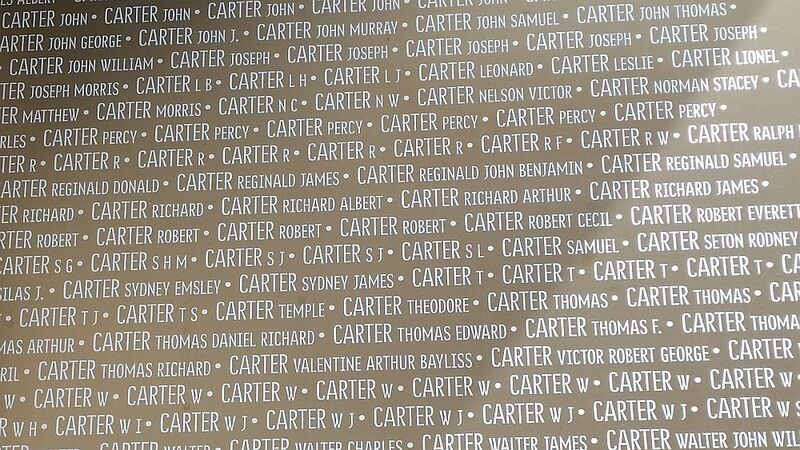 Percy Carter’s Name on the Monument. In 1919, not long after the First World War (1914-1918) had ended, The Grand Lodge of England, at the suggestion of the Most Worshipful, The Grand Master, HRH The Duke of Connaught and Strathearn, decided to build a new headquarters for the English Craft, in Great Queen Street, London, as a lasting memorial to the many brethren who had given their lives during the War. An appeal was made to all brethren for voluntary donations to the fund which was known as the Masonic Million Memorial Fund. The donations were to be recognised by commemorative jewels. 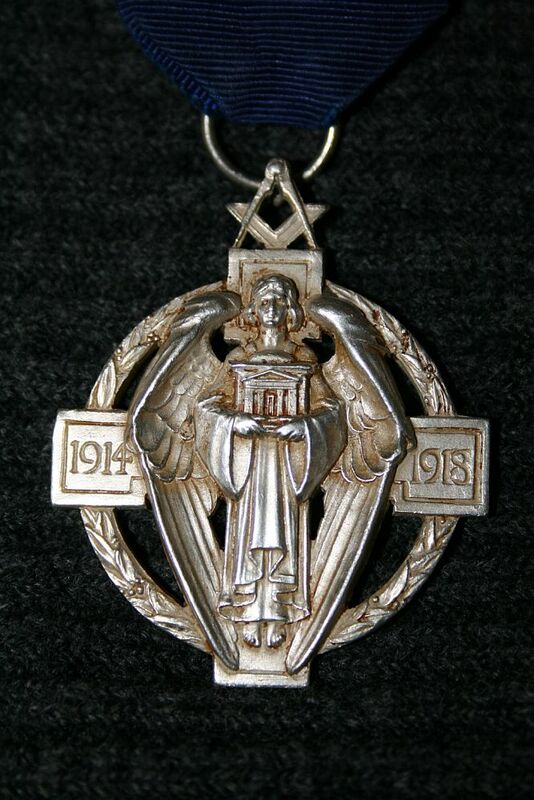 A competition was organised to design the jewel, it was won by Bro Cyril Saunders Spackman RBA RMS. and was described at the time in this way. 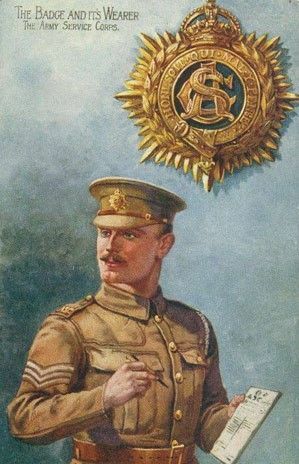 “The jewel is in the form of a cross, symbolising Sacrifice, with a perfect square at the four ends, on the left and right, squares being the dates 1914-1918, the years in which the supreme sacrifice was made. Between these is a winged figure of Peace presenting the representation of a Temple with special Masonic allusion in the Pillars, Porch and Steps. 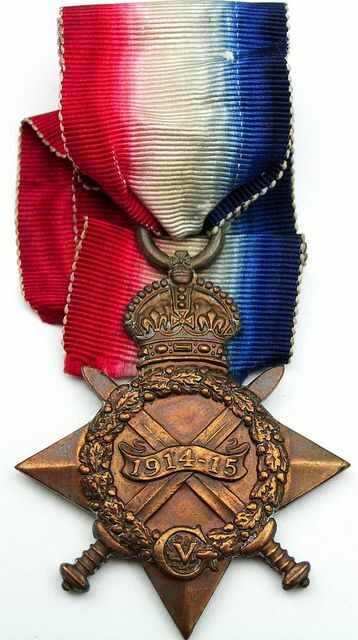 The medal is suspended by the Square and Compasses, attached to a ribband, the whole thus symbolising the Craft’s gift of a Temple in memory of those brethren who gave all for King and Country, Peace and Victory, Liberty and Brotherhood”. 1Ancestry Public Family Trees, Masonic records, census returns. 2Minutes of Lodge of Friendship No 2963. William Haddock Robinson http://www.cwgc.org/find-war-dead.aspx?cpage=1 (Accessed July 2017). 4In memories by Pierre Vandervelden http://www.inmemories.com (Accessed July 2017). Percy Carter http://www.inmemories.com/Cemeteries/bethunetown.htm (Accessed July 2017). W H Robinson http://www.inmemories.com/Cemeteries/lesbaraques.htm (Accessed July 2017). 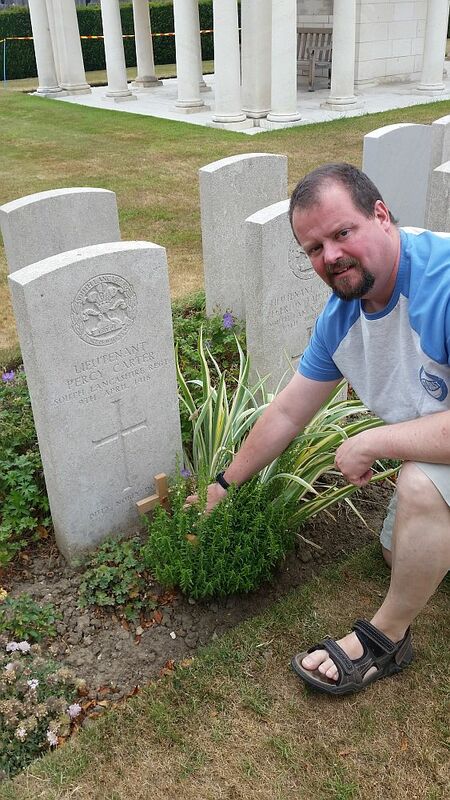 Percy Carter (19 July 2015) Prince of Wales’s Volunteers (South Lancashire Regiment). 6Naval and military archives http://www.nmarchive.com (Accessed July 2017). 7Warrington Library – Warrington Guardian Archives. 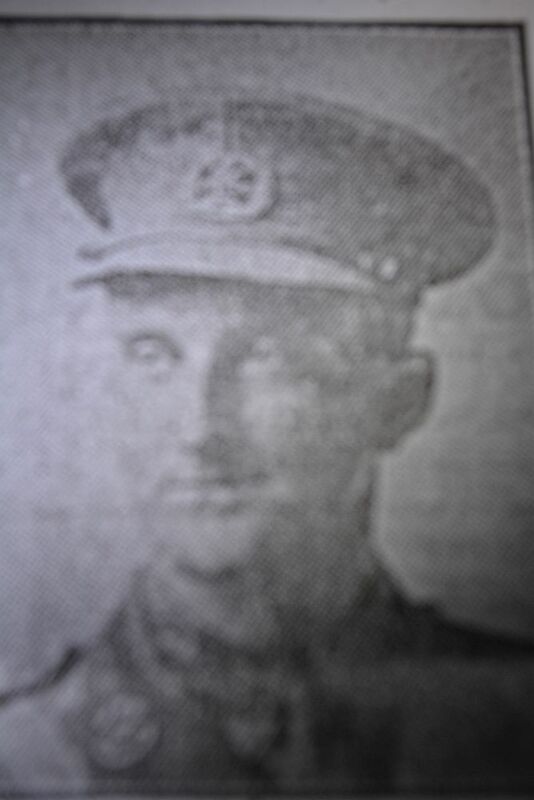 Percy Carter https://www.warmemorialsonline.org.uk/search?keyword=frodsham&search=1 (Accessed July 2017). William Haddock Robinson https://www.warmemorialsonline.org.uk/memorial/135815/ (Accessed July 2017). 11Masonic roll of honour names of brethren who fell in the service of their King and country during the Great War, 1914-1918 (1921) Freemasons Hall London. 12Minutes of Gilbert Greenall Lodge May 1918. The London Gazette, 28 January 1916 Supplement:29456 Page:1230. 15Blades Geoffrey David (December 2012) The Battle of The Lys, The British Army on the Defensive in April 1918. [Online][/Online] http://nickpowley.com/wordpress/wp-content/uploads/2012/12/THESIS.pdf (Accessed July 2017). 18National Library of Scotland trench maps http://maps.nls.uk/ww1/trenches/index.html (Accessed July 2017). 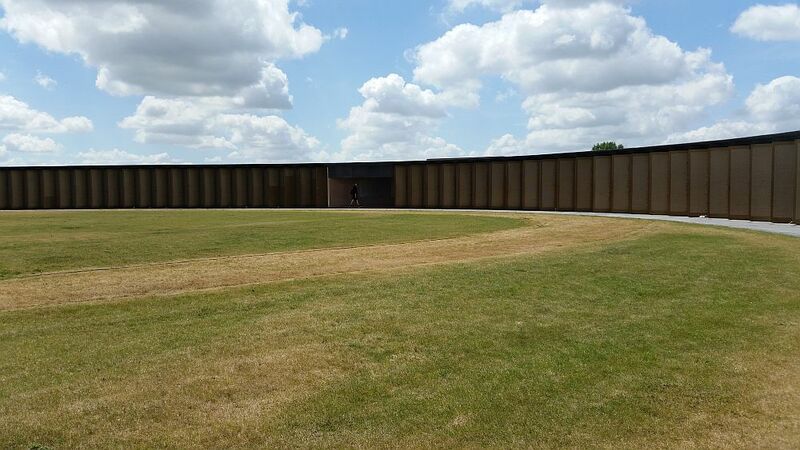 19Northern France Tourist Office official Website. 20The Library and Museum of Freemasonry. A Library and Museum of Freemasonry Information Sheet (February 2011) The Hallstone Jewel.